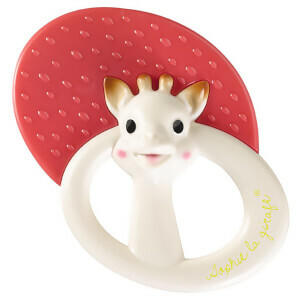 Keep your baby entertained in the bath with the Sophie la Girafe Bath Toy. Suitable from 6 months+, the adorable giraffe-shaped bath toy is made from phthalate-free vinyl. Little ones will have loads of fun and splashes at bath time with the floating, squirting bath toy. Presented in a classic Sophie la Girafe gift box, it is a great idea for a baby shower, Christening or birthday gift.